The MH5000 was produced from 1991 through 2004. Early 20 hp. Kohler & later 25 hp Kohler gasoline engines powered these units. 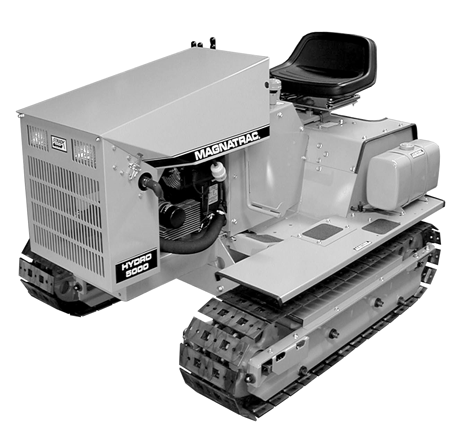 The first hydro Struck Crawler tractor to utilize hydraulic motors instead of a shifting transmission. Dual pump hydraulics offered power, with an overdrive option meant this machine was able to give power with added speed. Technical support available and wearing parts still available as well as a complete manual.